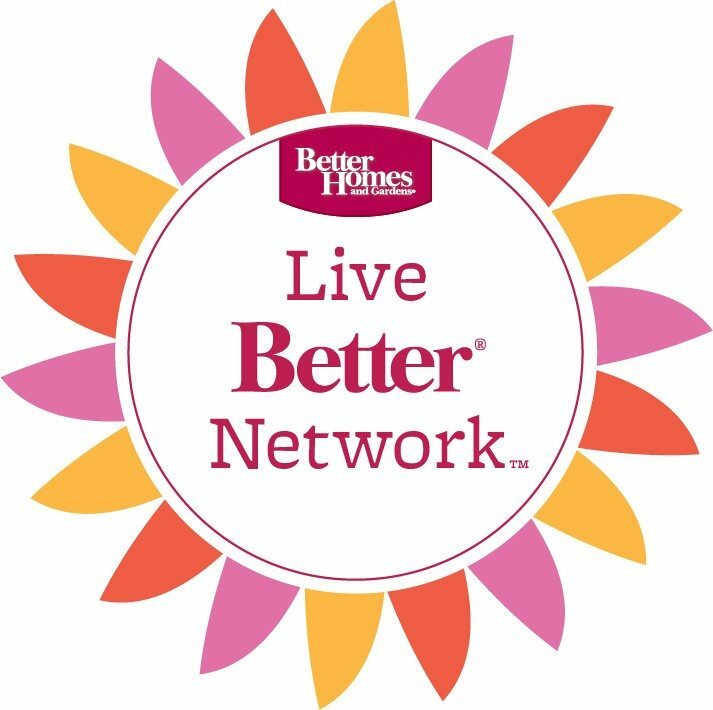 Thanks to Better Homes and Gardens at Walmart for sponsoring today’s post. 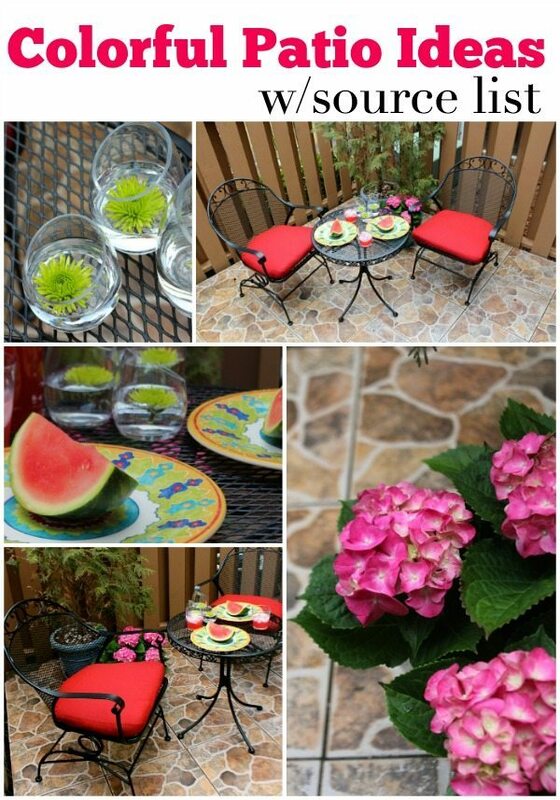 You will be wowed by the beautiful items that I used to decorate this patio! 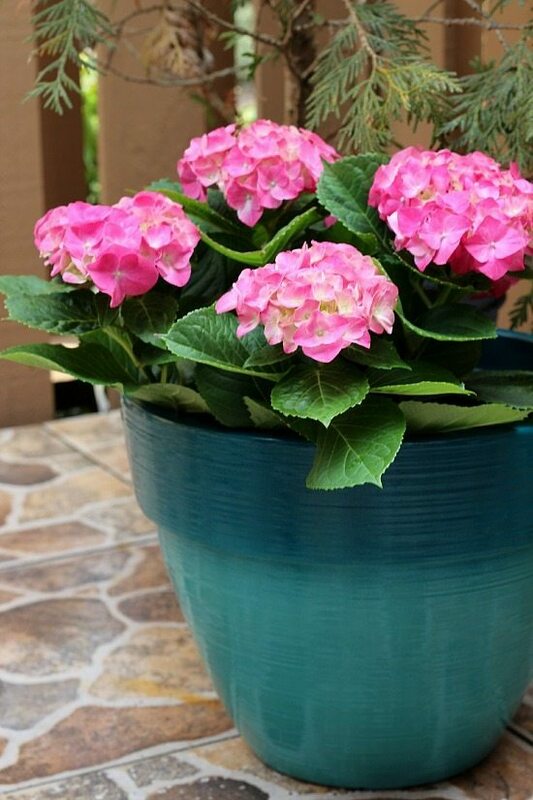 As a part of BHG Live Better Network, I’m excited to share my colorful ideas for our son and daugher-in-law’s patio with items from the Better Homes and Gardens available at Walmart. 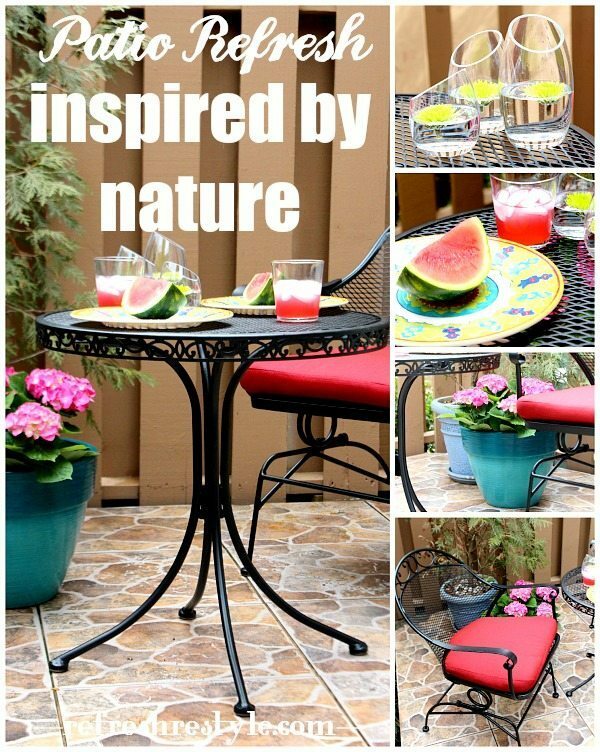 Treat your outdoor space just like you would your indoor space. 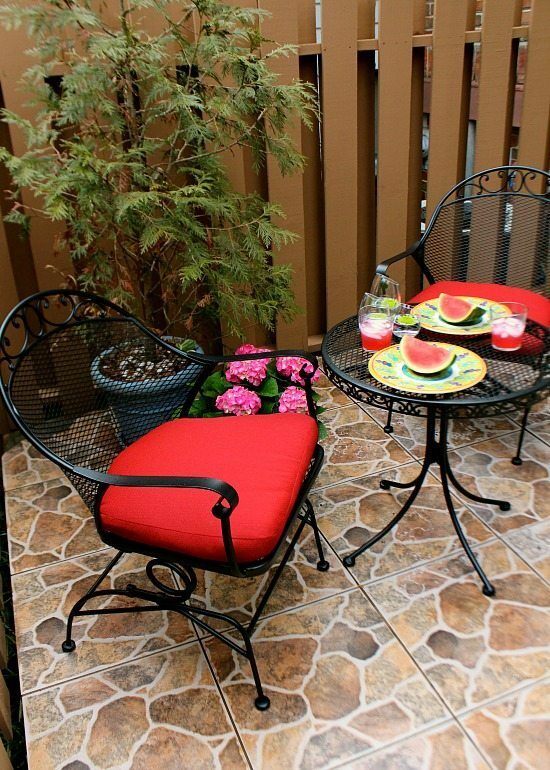 There are so many options for cushions, pillows, dinnerware. Start with colors that you love and build your space around them. I started with the basics. The bistro table and chairs doesn’t overwhelm this small space. There’s plenty of room to add a grill and more seating later. 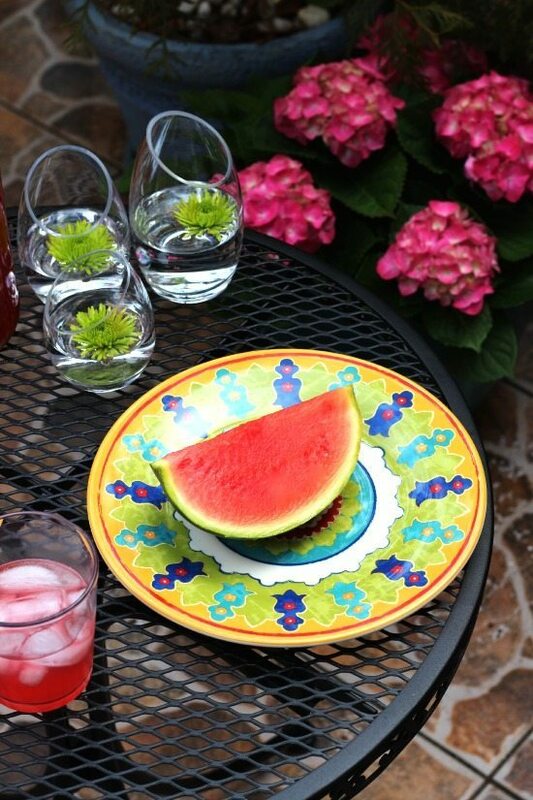 Vibrant melamine dinner plates, so many color options to mix with these. 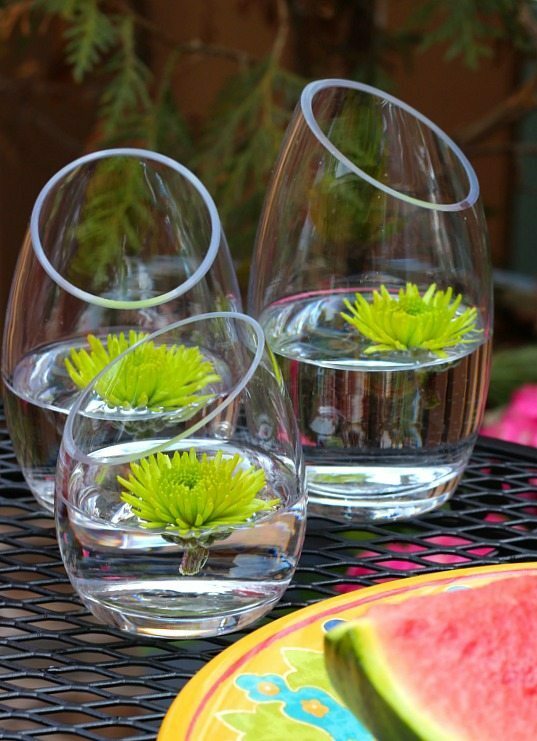 Just snip the top off a few flowers and float in votive candle holders. 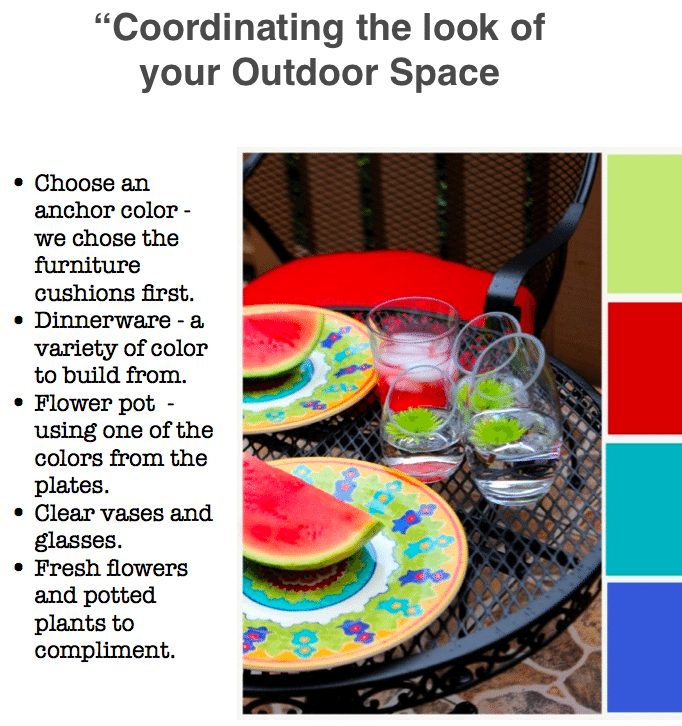 I hope we’ve given you some ideas to refresh your patio with color! Such a beautiful spot you’ve created! Question: Any idea who makes the faux flagstone tiles? Love them, too . . .and I’d love to install them on my patio! 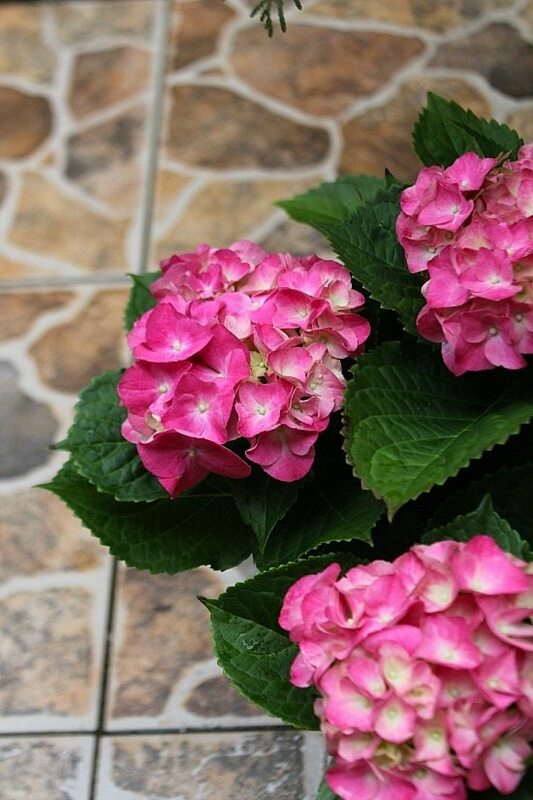 Thanks Debbie – I think that tile was available several years ago at Lowe’s. I’m not sure if they still have it. Thanks for the quick reply! I’ll check at Lowes! Everything looks so pretty and happy Debbie!! And ready for Spring!! Love it! Thank you!! Yes spring ready! 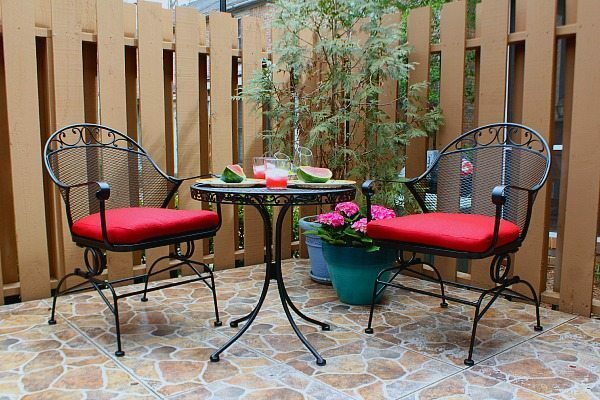 Your patio looks so inviting! I love the colorful accessories that you used to brighten this space. I love it! How cheery and fun! Don’t be jealous 😉 We rarely get snow, I’d love to be snowed in at least once in my life! Color definitely makes me happy. My patio needs some serious help! Wish you lived closer so you could help me. I long for spring temps and weather…. thanks for all the tips Debbie! Gail, I’d love to make a road trip and work on some projects with you!! What a quaint and cozy spot to sit and relax! Chris, they are loving it! 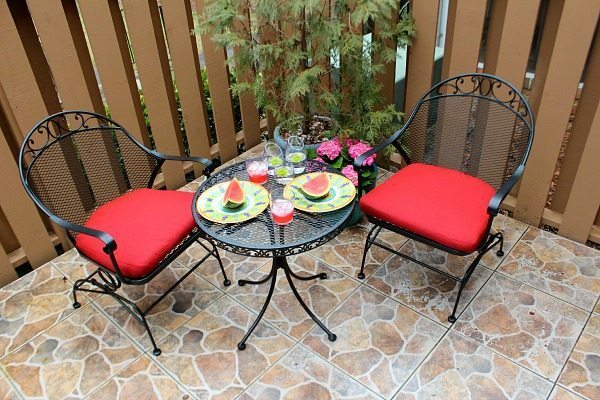 Your patio looks great! 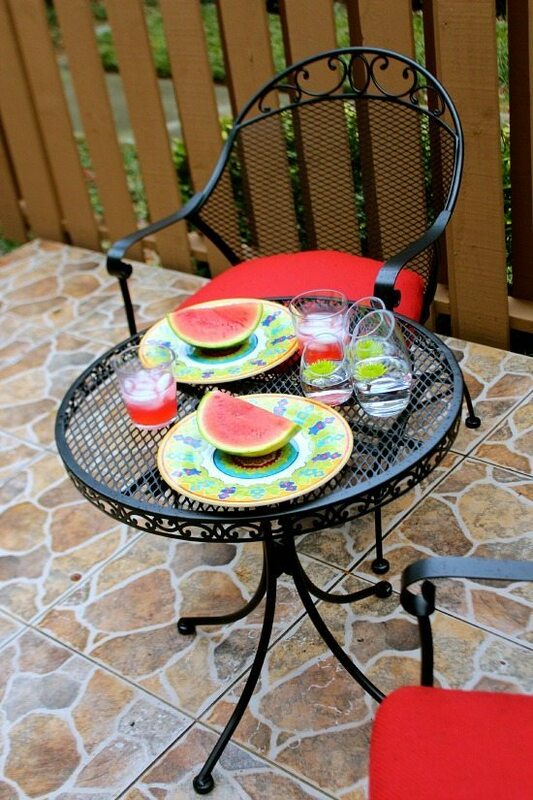 Love the bistro set. We will be adding one to our “view” porch at our mountain cottage. Thanks for the inspiration! Pam, that sounds like a perfect spot! I’d love to see your view! And it is a FACT that a pop of color just adds so much like to something! Deck looks great. Thanks Pam, Color makes me happy! great looking patio with all that color. i love the shape of those votive holders and using them for flowers. I am sure they will enjoy this space. Thanks Laura, they love it! 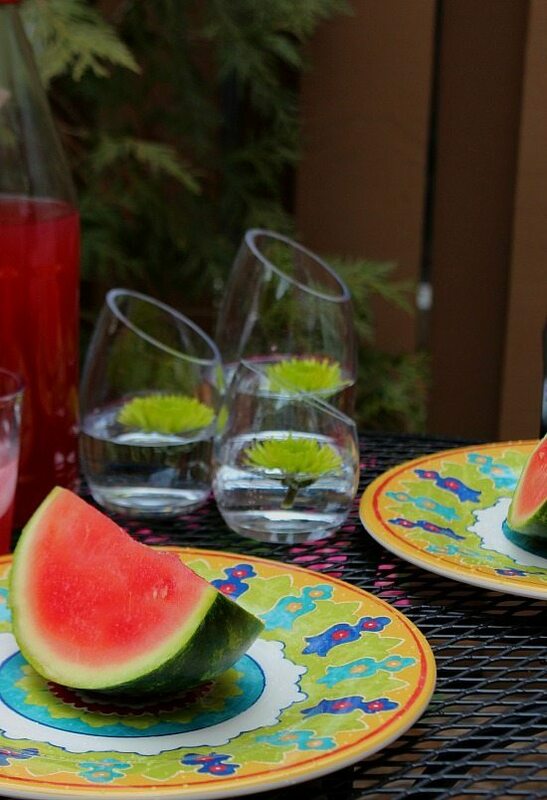 Those Better Homes and Gardens votives are perfect!